As the Instructional Technology Specialist at Bellarmine University, I was delighted to read and review this important collection because it offers many helpful strategies and tools needed to conduct research in technology-rich centers and classroom environments, to teach in online learning environments, and to adjust teaching strategies to facilitate multiple learning styles. 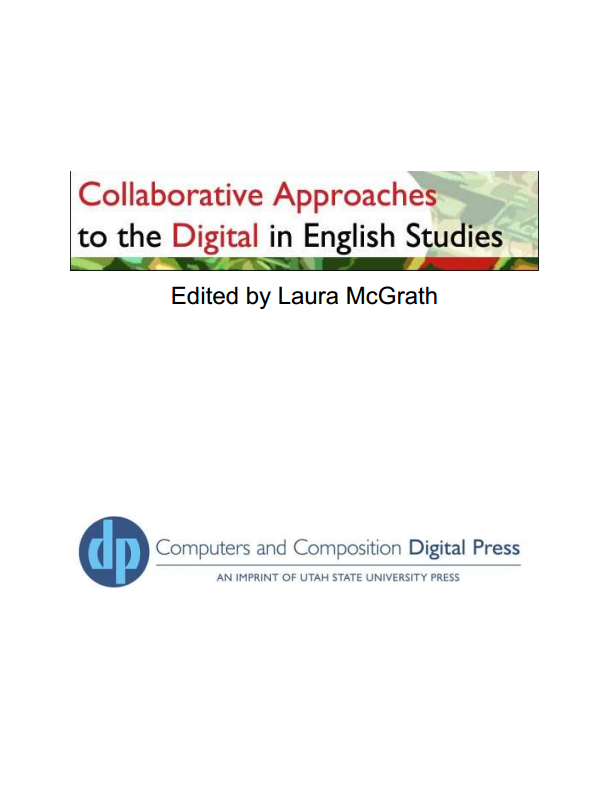 Collaborative Approaches to the Digital in English Studies, edited by Laura McGrath, begins by creating a strong foundation for research and pedagogy at a time when online learning and digital composition tools are increasingly becoming a part of the college and university experience. The collection then goes on to discuss teaching and learning strategies that can be incorporated in this increasingly online learning environment. 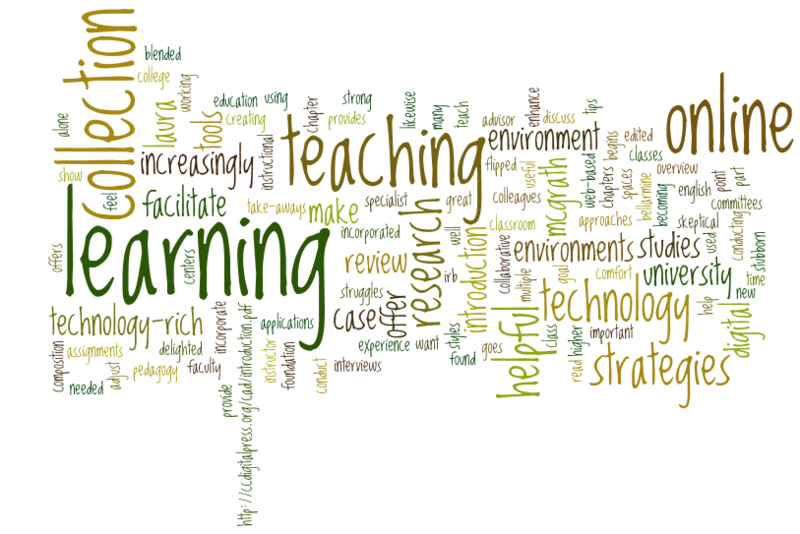 The chapters offer case studies and interviews to show why and how technology can be used to both facilitate and enhance learning in higher education. If you are new to teaching online or using web-based applications in a teaching environment, then this collection will be very useful. Likewise, if you want to make a case to stubborn IRB committees or skeptical colleagues, then this collection will help you make your point. Or, if you feel alone in your struggles to incorporate technology into your class assignments, this collection will comfort you and provide some great tips. The introduction by Laura McGrath provides a helpful overview of each chapter, so my goal in this review will be to offer some take-aways that I found helpful as an instructor and faculty advisor for those working with online teaching (as well as blended and flipped classes) and conducting research in technology-rich learning spaces. My review is broken into three sections that corresponds to the collection: Part 1 focuses on Scholarship, Research, and Professionalization. Part 2 focuses on Teaching and Learning. The conclusion discusses three main take-aways I got from this collection.